An engaging and passionate professional, Kat brings decades of experience in dealing with luxury brands – on a national and international level – to her real estate career. Kat first earned her real estate license more than 10 years ago, with an ultimate goal of establishing an exceptional career fulltime. Since moving to Florida’s Gulf Coast, she has been pleased to achieve that career goal at Michael Saunde... more.rs & Company. Kat’s strong business background, including many years orchestrating multi-million dollar contracts as an international gold buyer – gave her outstanding abilities in negotiation and communication, along with the intuitive skill to understand the needs of discerning customers. 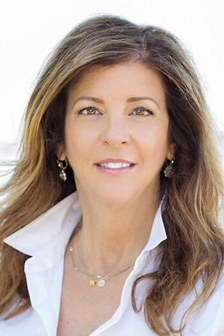 Kat’s professional success is rooted in her results-focused approach, which she puts to work for residential sellers and buyers throughout Longboat Key, Sarasota and beyond. A resident of Anna Maria Island, Kat is mother to twin boys and is a certified holistic nutritional health counselor.